It is time to request real spells! bring back love! get results that work! change your life forever! feel deeply loved! Hello, my name is Marie Cindy Tronzano! I am a nature born psychic from birth. I say that because you're probably suffering and you think no one cares. Well, maybe they don't, the world can be a cold place, but we must not let that bring us down. We must not become weighed down by the suffering and coldness. Also, I'm the only psychic on this website. I created it, I own it and I maintain it. There are many larger psychic websites than mine on the web, but I like to keep things simple and deal with my clients one on one. I have over 15 years experience doing Psychic Readings and I deliver online psychic readings and love spells that really help. I can see deep into your troubles, whatever they are, and help straighten them out. My online psychic readings address just about any problem and help relieve worry, frustration and fear. Am I accurate? Well, I'm told by most of my clients that my psychic readings are right on the money and they come back to me, again and again. Most seem very happy with their psychic readings...please read my Client Comments. Plus, of course, I'm ridiculously cheap... only $5.00 per question for my question psychic readings and tarot readings (medium and astrology readings vary), payable by Credit Card, PayPal or Money Order...and I offer a 100% money back guarantee . 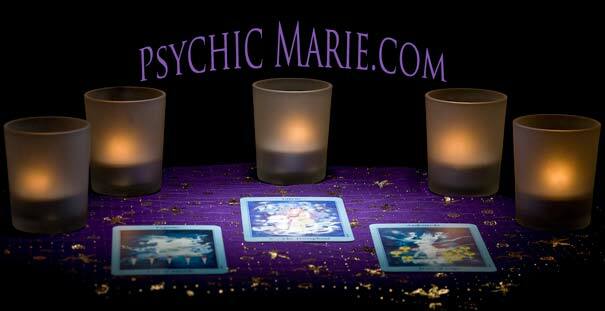 Do you need a Psychic Reading on specific questions? Just click on Psychic Readings. Did you ever think your best friend had a hidden secret? Do you feel some people just have it easier than you? You may not have realized that they are using my love spells and other spell casting to gain their fortunes. There is a destiny and path you are meant to take. Find true love and the one you are meant to be with today. You may choose one free psychic reading on the following page or you may request one basic love spell to bring back your lover. I offer you only one request for free and without impendance. You must be a new visitor to access this privledge. Part of my special ability is spell casting. I have a very deep talent in love spells and love spell casting. Those in need of a psychic reading or love spells should consider going to my powerful conjure for love page. There you will find the most coveted and sought out ritual that I offer. It can help you literally get your lover back within the week. Spell casting rituals must be performed by professionals like myself under all circumstances. Spell casting has been in my family for generations, conjuring love spells that people rarely get to experience. Solving relationship problems, bringing back a lover that has strayed from the relationship, and increasing the attraction between a couple are my main area of expertise. If you are not completely satisfied with her spells, within a year, you will be refunded your money. Period. No questions asked about your love spells.